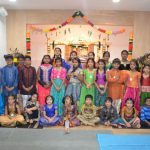 By the immense grace of Sri Swamiji, Summer camp for Kutti Krishna kids aged 5 to 8 went very well from Friday through Sunday, June 26-28, 2015. 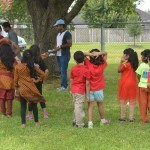 11 children attended the camp at Houston Namadwaar. 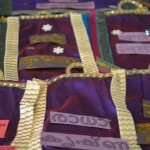 The theme of the camp was – ‘Vibrant India-Colors and Languages’. 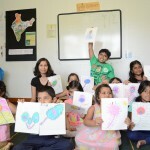 Interestingly the children who attended the camp, spoke five different Indian languages! 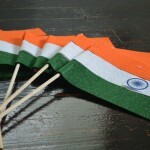 The sessions included art, yoga, crafts, photography, cricket, songs, games, play etc. 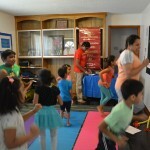 Art and Yoga were taken by Mrs. Preeti Jirali – a locally known artist and Mrs. Malathi Krishnan-Yoga Instructor and a GK parent respectively. Rest of the sessions were taken by GOD volunteers from Cypress and Houston. 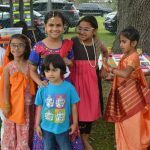 Overall, children enjoyed the camp and were keenly interested in learning more about India. 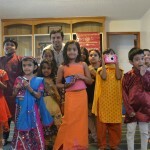 They picked up different language rhymes quickly and took part in a play which included songs from 4 to 5 languages of India. They concluded the camp presentation by singing the Indian National Anthem. 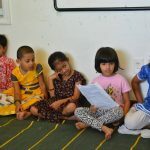 The final program included a presentation by Sriramji, answering ‘Why Gopa Kuteeram’ followed by a description of its content, especially the new Gopa Kuteeram text books and the 9 year structured curriculum. 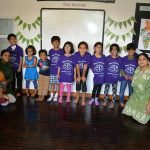 The camp organizers received excellent feedback from parents with all of them showing interest in sending their children to Gopa Kuteeram’s yearlong program. Sri Swamiji’s grace was visible throughout the camp, the highlight being when it was time for outdoor sports time. 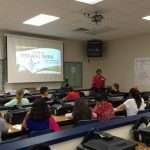 It was a very hot week and when it was time for the outdoor sports session, the temperature cooled down to a breezy high 70’s. There was a 50% forecast for rain and dark clouds in the morning, which only drizzled enough to bring the temperature down to 70’s and no rain at all during the outdoor activities!